Since the girls have both achieved basic reading proficiency for their age ( ILR level 3, I would say), I am adding additional writing practice. 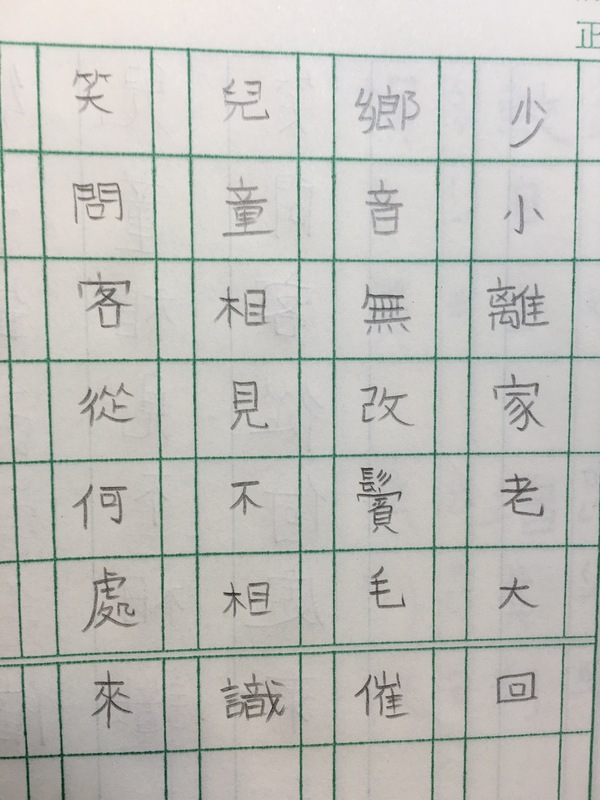 They had memorize a few Chinese poems before; so I printed out writing worksheet of one whole poem with the stroke sequence included. I handed them the worksheet and told them that I will “test” their writing of the poem from memorization in one week. Their continuing enjoyment of certain privilege will depend on how well they do. They are responsible themselves on how much practice they need to achieve that. In a few days, 9 year old “Georgia” has got it.